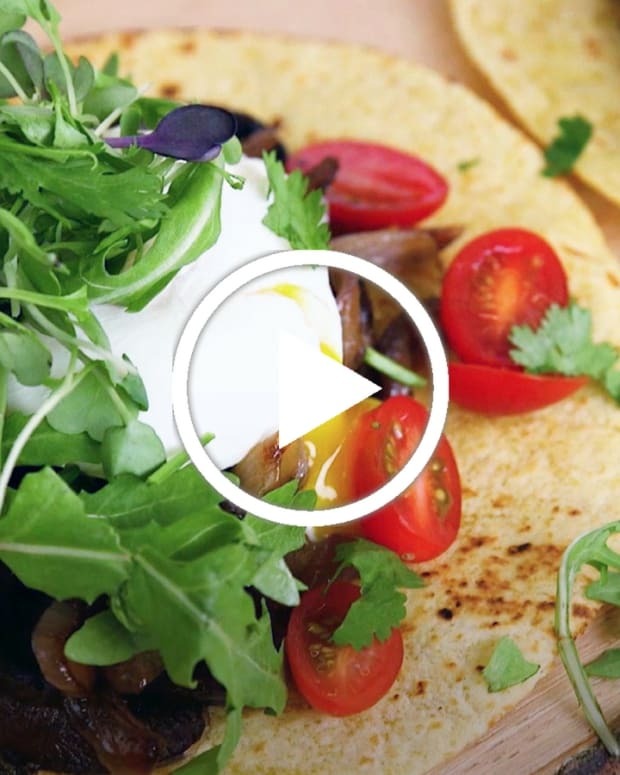 We used Grow & Behold&apos;s Duck Legs for this recipe. 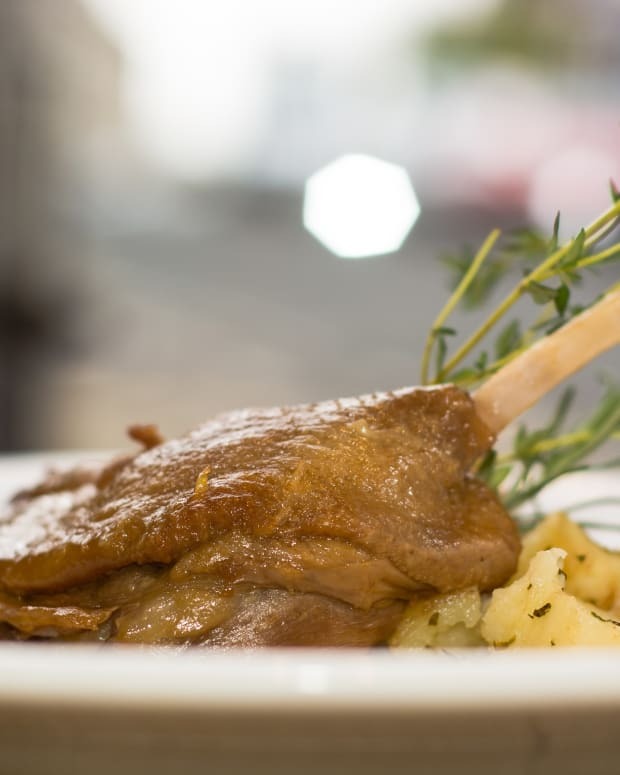 The classic way for duck legs to be prepared is "confit", which is a French culinary method of cooking the duck in its own fat. 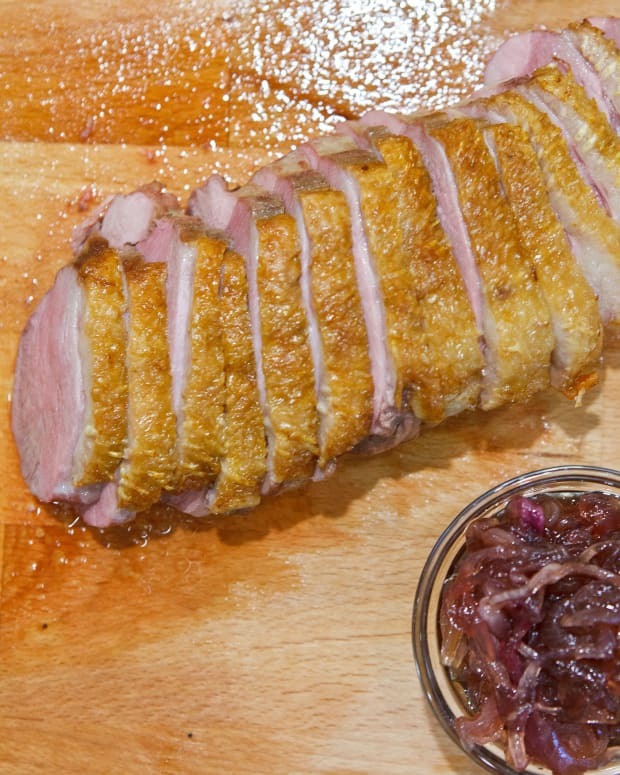 This slow-cook technique allows the duck to become very tender and rich tasting. All of Grow & Behold&apos;s products are Glatt Kosher and pasture raised. As soon as the birds are large enough to be moved outside, they spend their entire lives on grass. They live in spacious, movable pens that are moved each day allowing them to access a growing salad bar of natural food. The birds are also fed a special blend of non-GMO food. 1. Meat Curing: Place salt and pepper in a large bowl. Rub seasoning over the duck, making sure to run underneath the skin. Tightly cover the bowl for 24 hours. 3. Place the duck on a cutting board. 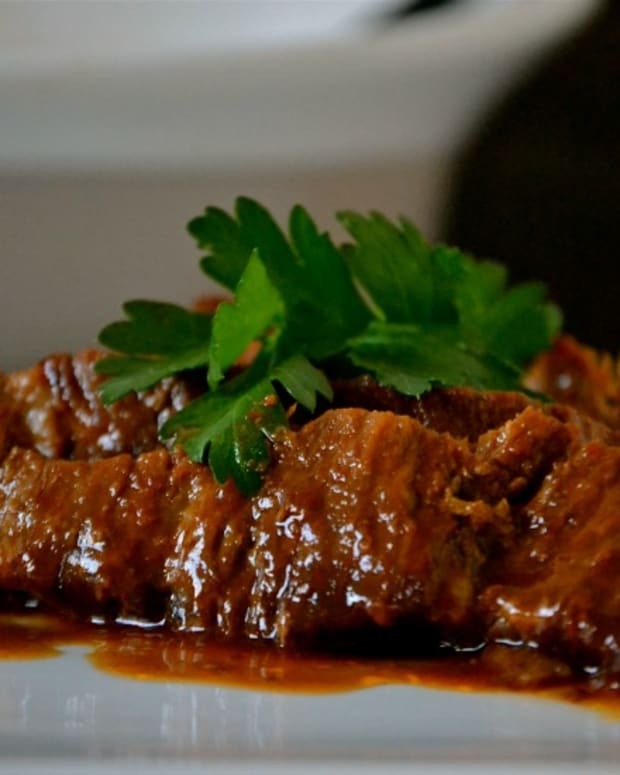 Remove the fat from the duck and set aside. Trim away any fat extending up the bone as well. 4. 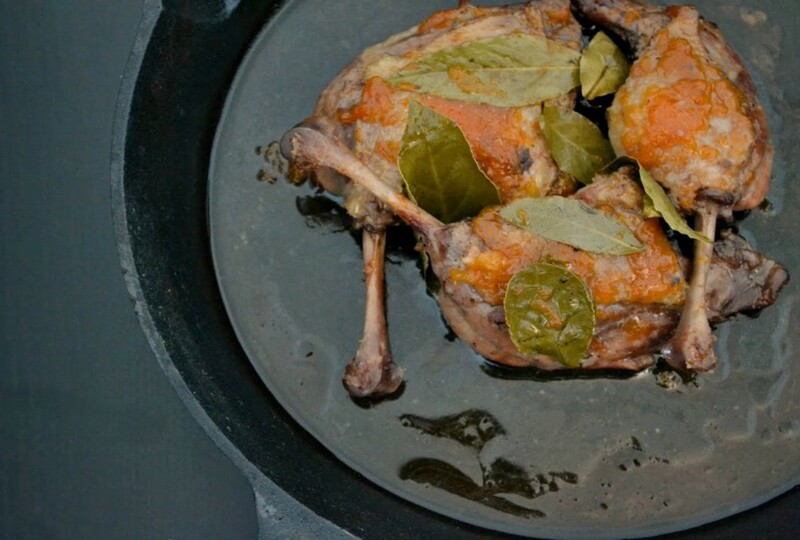 Place duck in a cast iron pan. Set aside. (If you do not have a cast iron pan, a baking pan will suffice). 5. Rendering the duck fat: Cut duck fat into very small pieces. Evenly spread the duck fat in a frying pan. Cook on a low flame allowing the fat to melt. 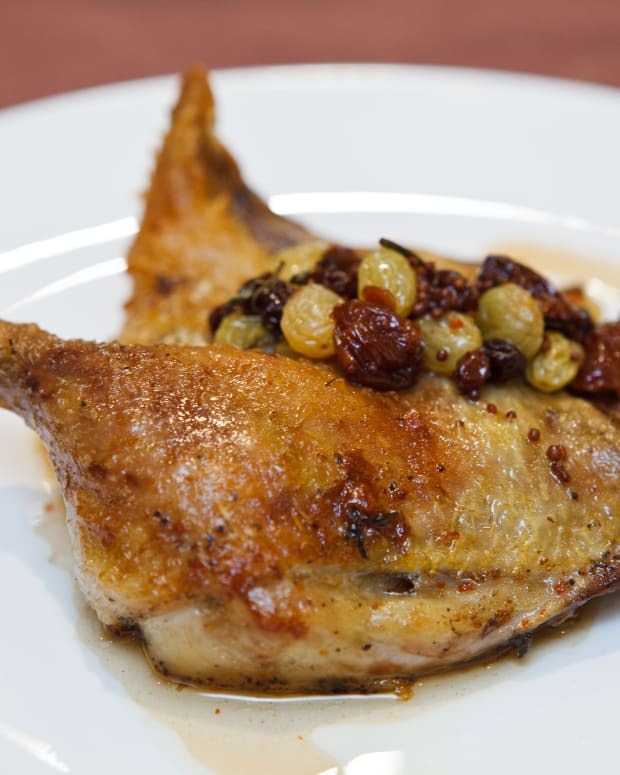 Take a spoon and remove the duck fat from the frying pan. Continue this process until you have 1 cups worth of duck fat. This process should take approximately 20 minutes. 6. Pour the duck fat over the duck. Cook on a medium-low heat for 10 minutes. Flip the duck over, and cook in the pan for an additional 10 minutes. 7. In a large measuring cup, mix red wine vinegar and apricot jam together. Pour this mixture over the duck fat. 8. Tightly cover the pan and place in the oven for 45 minutes. 9. 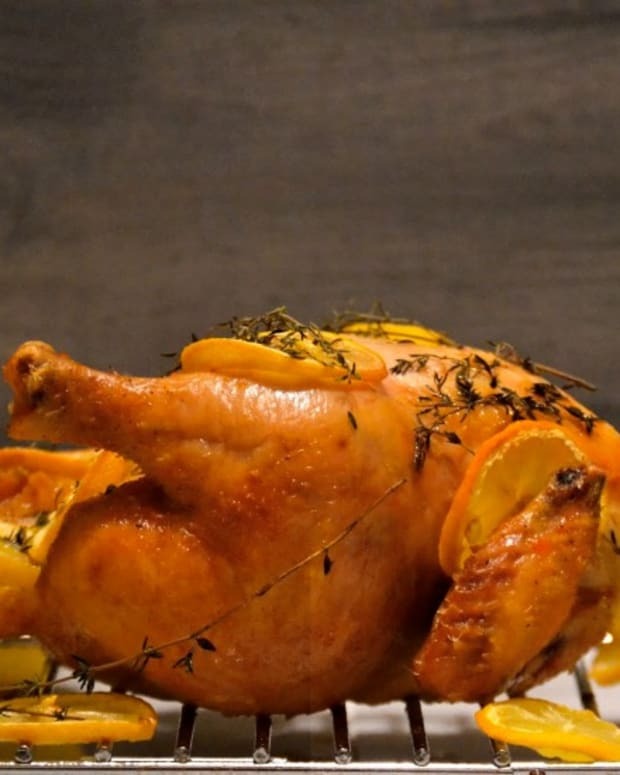 Remove from the oven and flip the duck over. You can take the apricot mixture in the pan and pour on top of the duck. 10. Pour bay leaves over duck. Tightly cover the pan and place back in the oven for an additional 30 minutes.